- Quickly print, copy, and scan multipage documents hands-free with the 10-page automatic document feeder. - Simply connect and print from your laptop or mobile devices. 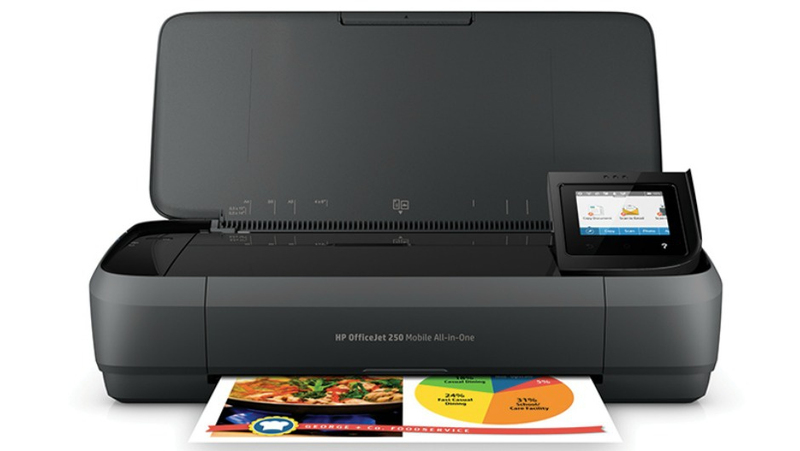 - Start printing right out of the box with quick and easy setup, using HP Auto Wireless Connect. - This durable, compact all-in-one fits in your car, backpack, and more for convenient printing anywhere. - Reduce charging interruptions with a long-lasting battery. - Get the highest page yields of any in-class all-in-one, using Original HP cartridges. - Set the pace for success wherever you go. Keep moving through the day with fast print speeds. - The 6.73 cm (2.65-inch) colour touchscreen makes for easy printing, scanning, and copying. - Power through the workday. Charge from home, in your car or office, and more. 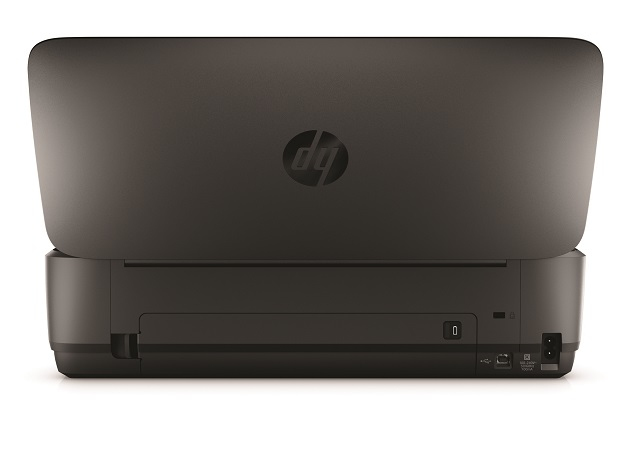 - Plug in your AC power source to charge within 90 minutes while the printer is off, with HP Fast Charge. - Minimize disruptions with premium design and quiet performance. Impress clients, without noisy interruptions. - Get high-quality prints time after time with an all-in-one designed and built to be reliable.